We are offering Flooring Service. We are the well known entity, deeply involved in offering our clients Acid Resistant Flooring Service. Our skillful professionals evaluate all the needs of our patrons while rendering this service. We provide this service under the strict guidance of our workforce using the modern techniques and high-quality flooring material in tune with set industry standards. The provided flooring service is highly cherished in the market by our clients owing to its promptness, reliability, flawlessness and on-time execution. 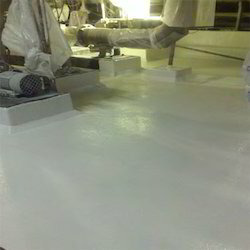 We are offering Heavy Duty Industrial Mastic Flooring Service which finds its usage in acid proof lining on vertical areas and floors. Owing to this kind of protection, the mastic flooring also known as asphalt base flooring doesn't require mesh reinforcement for lining purposes. 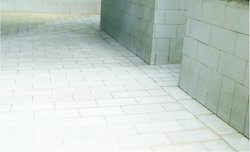 Mastic floor ensures a hard wearing and durable surface that safeguards it against passage of dampness. With that, the finish to mastic flooring is provided with a natural float finish or a matte to ensure high protection. We are offering Acid Proof Flooring Service. Our offered range of service is available at market leading prices along with unmatched quality. Our services are processed under the strict supervision of our quality experts. We are trusted brand engaged into offering our customers quality Mandana Stone Flooring Service. We have wide range of sandstone types, one such prominent type is Mandana Red Sandstone. This quality of acid resistant lined Mandana Red Sandstone are very hard, compact, fine-grained, and equi-granular, which offer our customers durability. 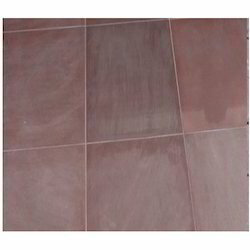 This Mandana Red Sandstone is used for exterior, interior, interior flooring, exterior flooring, paving exterior and so on. We have on offer varied sizes, shapes, finishing, polishings etc to customize our products. These Mandana Stone Flooring is highly favorable for the chemical processing done on floors, and is less expensive in comparison to the AR brick lining. Flooring developed from finest quality stones to ensure durability and superior finish.